The Goth lifestyle is a distinctive subculture that places an unmistakable mark on all of its aspects. One of the most striking aspects of the movement is the music. Originally a subgenre of the British post-punk revival and alternative rock of the 1970s, Gothic rock has its own sector of the music world. Simply dressing up in black clothing and makeup is not enough. Because of its unique voice, all the proper elements must be in place to write a true Gothic rock song. The structure is similar to many mainstream rock songs but, looking closer, it is truly a genre of its own. Create the song title. Gothic rock songs should reflect the movement's elements. The Goth subculture is more about mood and aesthetics than any particular ideology or trends. Most of its songs and literature involve morbid elements and dark imagery. Romance is a popular theme, but it's doomed, almost sinister. Supernatural creatures, nihilism and religious symbolism are preferred over themes like partying or breaking up with a significant other. Without a suitably dark theme, the song's Gothic aspect loses authenticity. Compose the melody. A Gothic rock song is heavy on guitar and synthesizer. To achieve the proper guitar sound, use the settings “Chorus,” “Flange” and “Reverb.” Adjust synthesizers to similar settings. Many Gothic rock songs are played in minor keys and typically follow a 1-4-5 scalular progression. Emphasize down strokes when playing to achieve the proper sound. Drum beats should be quick, almost tribal in nature. Snare drums can be used to great effect, providing a sharper, more intense sound, to complement the heavy, rapid-fire guitar work. Write the lyrics. Verses should build toward a dramatic chorus, in keeping with the dark theme. Song structure is typical of the rock genre. Start with an intro, follow it with verse, chorus, verse, chorus, bridge, solo, chorus and outro. In songwriting, aside from basic structure, no rules are set in stone. This can be especially true of Gothic rock songs. 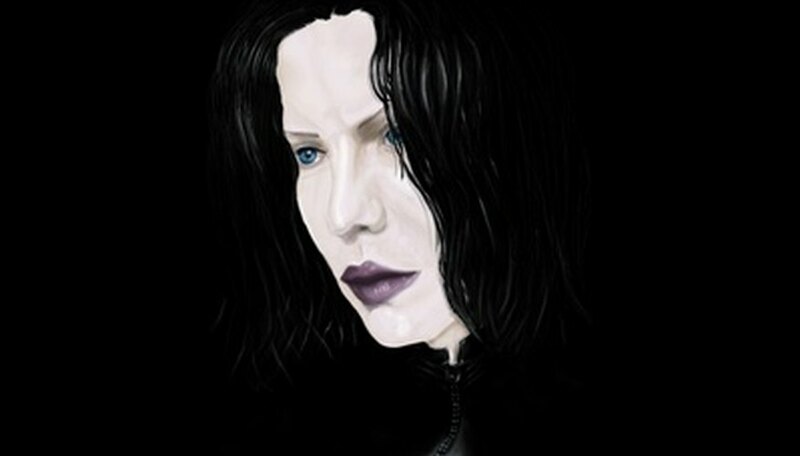 While a Goth song's structure might be similar or even identical to basic rock, the themes and emotions behind the song are not.